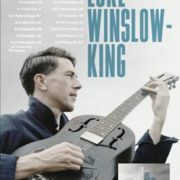 Luke Winslow-King nominated for Best of the Beat Awards! Luke Winslow-King received 5 nominations for the Best of the Beat Awards! Check out the video of the album’s title track “I’m Glad Trouble Don’t Last Always” directed by Rossella De Venuto. http://www.interlineafilm.com/wp/wp-content/uploads/2016/08/LKW.jpg 1224 878 Interlinea http://www.interlineafilm.com/wp/wp-content/uploads/2014/10/logo-interlinea-film1.gif Interlinea2016-12-16 17:38:092016-12-16 17:47:01Luke Winslow-King nominated for Best of the Beat Awards!